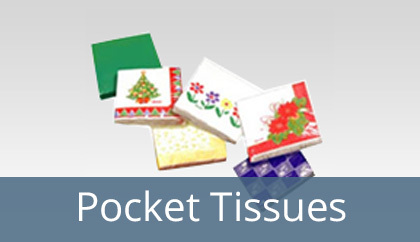 Pocket Pack Tissue is a small handy packet of soft tissue papers which can easily fit in a person's pocket. Travellers, beauty and health conscious people are the one who usually opt for these products due to its portability. In this modern world, pocket pack facial tissue is a boon as one can carry it easily for freshness and for facial care. This handy product is designed and formulated in such a way that it can have amazing aroma to make one feel refreshing in all the weather conditions. The pocket pack supplied by us is produced by using the best quality raw materials which enables it to be safe, hygienic, highly absorbent and soft. This is the reason why we are known as the best supplier, not only in India but also internationally. In a developed country like Japan, the pocket pack facial tissues are used as a medium of advertising and the main reason for the same is the cost effectiveness of the product. We offer Private Labelling, which enables custom printing of the brand name and logo on the tissues and is let out for public distribution. This ensures brand and corporate identity with the most effective way at a reasonable cost.